The park is named for the 100+ year old oak trees that stretch along the shore of Morrow Lake. 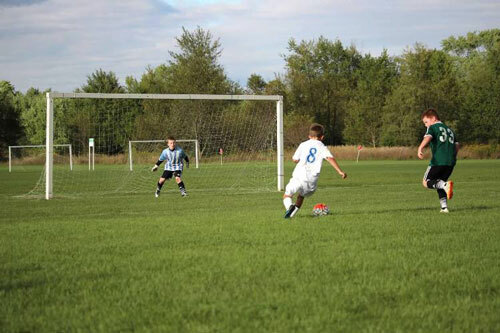 River Oaks County Park features one of Southwest Michigan's premier soccer facilities with 20 fields that regularly host youth leagues, adult leagues, and regional tournaments. New to River Oaks in 2014, the splash pad features fun in-ground and above-ground water spray elements. A new playground has also been added near the splash pad. Both areas have specific elements designed for children ages 2-5 and ages 6-12. 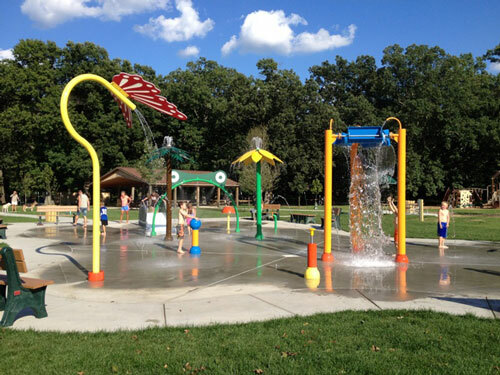 Fees: Splash pad use is included with your park admission. For Group rentals, call the Parks Office at 269-383-8778. River Oaks offers a beautiful facility that features 20 soccer fields ranging in sizes full, mid and junior. The fields are available for game, league, and tournament rentals. River Oaks also hosted youth lacrosse and ultimate disc events. Improvements to the complex were completed in 2005 and include new fields, 650 paved parking spaces, restroom facilities, and a concession stand. See a detailed map of the complex. This facility is home to AYSO Region 212, DBSS Sting, Kingdom Soccer, Pfizer Soccer League, and Kalamazoo Ultimate Disc League. Several Tournaments are held at the complex annually. For information on field availability, rental costs, or to schedule a tournament please call 269-383-8778 or contact the parks director. River Oaks Dog Park opened in the summer of 2014 and features 4-3/4 acres of fenced park area for dogs to exercise and socialize off-leash. The park has a four-acre grass area with plenty of shade trees for all dogs. Plus there is a special area for dogs under 25 lbs. 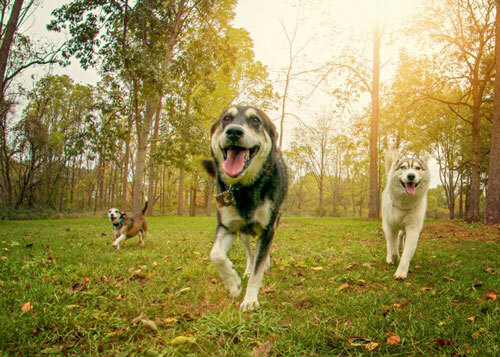 Access to the dog park requires either payment of the daily vehicle entrance fee or an annual park pass. See the Dog Park Brochure for rules and additional information. 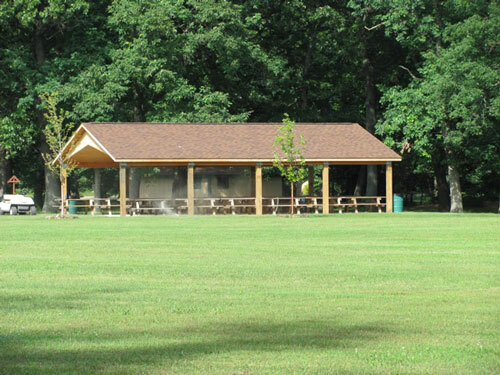 River Oaks County Park is the perfect location for a family gathering, company picnic, school outing, or group picnic. Picnic shelters feature grills, electricity, water and clean modern restrooms at or near the shelters. For a list of available shelters, along with descriptions and fees, please visit our Picnic Shelters page. Comstock Township and Kalamazoo County partnered with local donors to construct the Wenke Softball Complex. The four fields are maintained and operated by Comstock Township Parks. For league or field information, contact Comstock Township Parks at 269-343-8212. The Kalamazoo Thunderbirds RC Club operates the River Oaks model airplane field. For membership and field information, contact 269-823-4044.